Growing up in suburban Cleveland, before I discovered the #9 bus that ran downtown, didn't leave me with many options when it came to record shopping. For a while there was a stereo store dangerously located at the top of my street, called Tokyo Shapiro (?? ), and it maintained a small eclectic selection of vinyl that would occasionally cause my paper route money to disappear (I bought my first of several copies of Genesis' Selling England by The Pound there — another story for another time). There was also a record department in the J.C. Penny's at the local mall—believe it or not— and I think Woolworth's had a record and tape department too. Sears, at the opposite end of the mall, must have just figured the competition was too stiff because they had nothing to offer my discerning “Big Game” tastes. Interestingly, the record departments in both Penny's and Woolworth's were “corralled” and the only way in or out was through a turnstile gate. No other department featured this store-within-a-store design and I can only guess it was some kind of security measure to keep teenagers from walking out with hundreds of dollars worth of 12” records tucked inconspicuously in their pants! ​Occasionally I would find something interesting at Pennys, but whoever stocked the bins at Woolworths was hopeless. The best retail source for my addiction was an independently owned store in the mall called Record Rendezvous (the place where records meet???). It primarily catered to jazz and classical enthusiasts, but it begrudgingly stocked Rock A-Z as well. And here, at long last, is where my multi-layered preamble ends and the real story begins. Well, sort of. Of course, once I got home and the needle hit the vinyl I knew any self-inflicted embarrassment I had suffered, was well worth it. 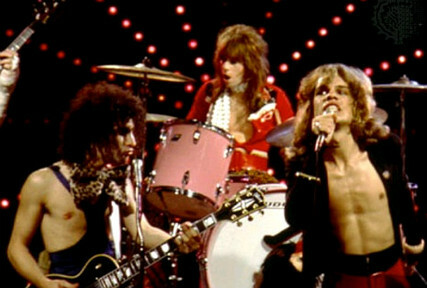 As rock critic Ira Robbins wrote: “The New York Dolls have the style, attitude, rawness and audacity to reinterpret the notion of punk as it had existed in the '60's and to create a decidedly '70's over the edge new reality.” The Dolls were my first foray into gender-bending punk and new wave. They opened my eyes and ears and mind to something completely new and wild and exciting. 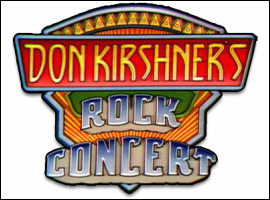 They also “singlehandedly began the local New York scene that later spawned The Ramones, Blondie, Television, the Talking Heads” and other bands I would find myself listening to a few years later. 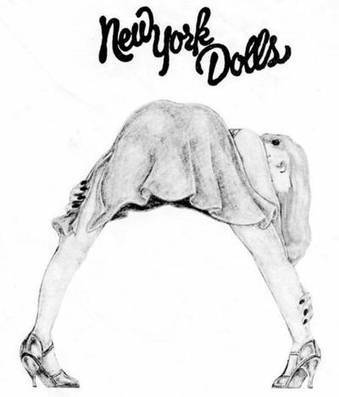 Today's Happy Medium Song of the Day is “Trash” by The New York Dolls, and it is just as catchy and audacious to me now, as it was when I took it out of the Record Rendezvous bag over 30 years ago. Enjoy.